A picture frame is one way to quickly add character to an image without having to go through an extensive editing process. What's even more helpful are PNG picture frames, especially ones that already have the middle cut out for you so that all you have to do is lay the frame over the picture to get the full effect. These free picture frame PNGs were created using grayscale masks combined with layer styles for Photoshop or Photoshop Elements. The frames are transparent and are 800x600 pixels. They'll work in most image editing, illustration, presentation, and page layout software. To use one of these picture frame images, the photo that will go with the frame has to be behind/under the PNG so that the transparent portion will reveal the photo below it. You can do that with any image editor that supports layers. Use this free splash frame to add a decorative touch to your pictures. Just drop it into a new layer in front of your photo image. Click the preview to open the full-size image in a new window, then you can save it your computer. Drop this frame into a new layer in front of your photo image to add a decorative seaside touch to your photos. Click the preview and a full-size image will open in a new window. You can then save the image to your computer. This free punched aluminum frame might work well with some of your pictures. Add it as a new layer in front of your photo image, then click the preview button to open a full-size image and save it. This free satin frame can add elegance to any photo. Drop it into a new layer in front of your photo image. Click the preview to open the full-size image in a new window, then you can save it your computer. Retro is always fun. Just drop this free retro dots frame into a new layer in front of your picture image. 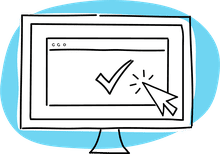 You can save it to your computer by first previewing the image in a new window or browser tab. This rainbow frame will add a burst of color to your photos. Just drop it into a new layer in front of your photo image. Click "Preview" to open the full-size image in a new window or tab, then save it your computer. Lace is timeless. Showcase your pictures in this free antique lace frame by adding it as a new layer. Click the preview to open the full-size image in a new window, then you can save it your computer. Use this free psychedelic waves frame to add a touch of nostalgia to your photos. Just drop it into a new layer in front of your photo image, click the preview to open the full-size image in a new window, and save it your computer. Use this free molten gold frame to add an elegant touch to your special pictures. Place it as a new layer in front of your photo image, then click the preview to open a full-size image that you can save to your computer. 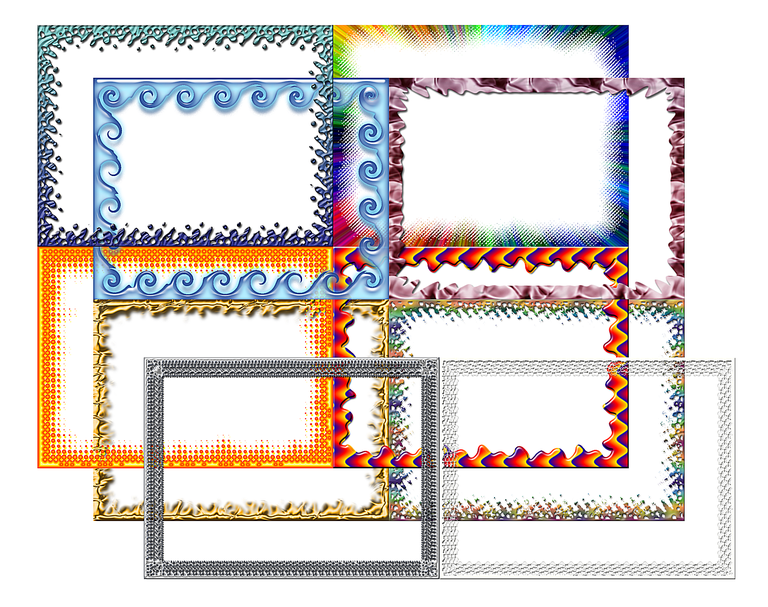 Here's a free pastel splotches frame. Add it to your photos by dropping it into a new layer in front of your photo image. Then click the preview to open the full-size image in a new window and save it to your computer.